At WR Nichols Law, one of our areas of greatest expertise is in planning for the well-being and care of the children you love. If you are in an accident, your Kids Protection Plan® will make sure your children are never taken into the custody of Child Protective Services or the care of anyone you wouldn’t want because the po lice don’t have clear instructions from you. And your Kids Protection Plan® will ensure your children are raised by people you choose, not someone chosen by a Judge who doesn’t know you. 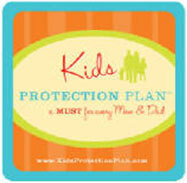 To get started with your Kids Protection Plan®, contact us or click here or the image to the right to go there now.